Detailing the number, complexity and shifting allegiances of the different groupings across the country is beyond the remit of our update. 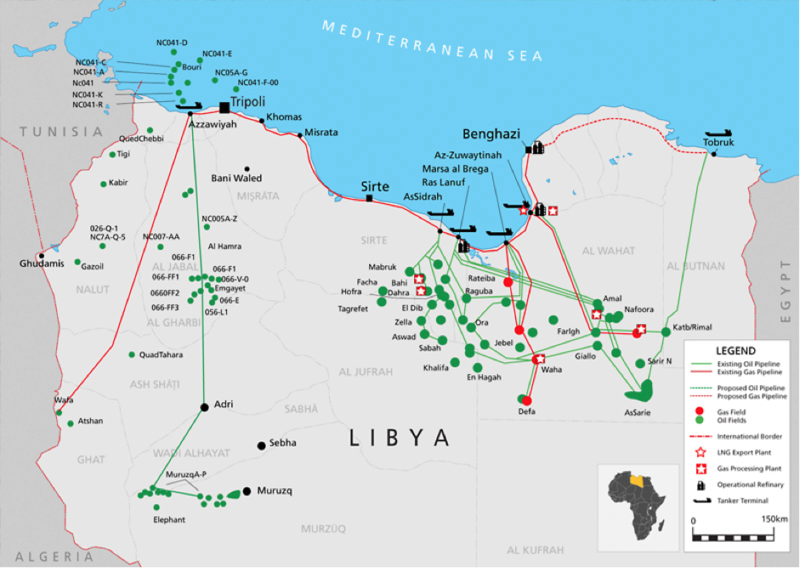 But at the heart of the conflict are the two “governments”, one based in Tripoli, and one based in Tobruk. Comprises militias and armed gangs with a majority from the city of Misrata. They deny that they are linked with Islamist extremists. Though they are aligned with the GNC, they do not regard themselves as blindly subordinate. Comprises remnants from the Libyan Armed Forces, particularly the Libyan National Army and Special Forces plus some local militias. The command is divided with General Hafter, a former army officer, in Benghazi. The Western line of conflict is commanded by Ibrahim Jadhran with his Petroleum Guard Force and reinforced by elements of Dignity Forces.